Wouldn't you like to use this sharp looking stock pot set? This attractive Chef Secret 4-Piece Nonstick Stockpot Set will look great in your kitchen setting. Try some of your favorite soup, stew, and chili recipes in this very serviceable pot and pan duo that can go from oven or stovetop to serving at the table. Prepare other family favorite recipes in these 12 quart and 21 quart cooking pots with glass covers and phenolic handles, and serve them for family dinners or for a crowd. Special cooking equipment for healthy meal preparation. 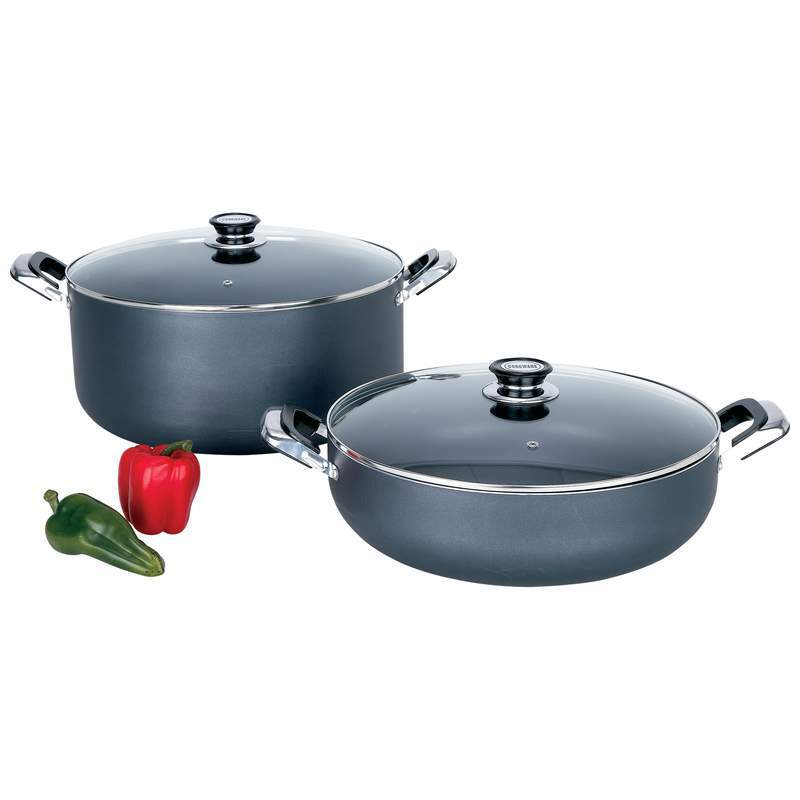 2 stockpots in varying sizes Offer flexibility in best choice of pan for recipe quantities. Special finish Gives a tough, durable surface that is heat resistant to the touch. Special handles Aid in lifting hot pans because they are heat resistant also. Special interior coating Offers easy food removal from pan and quick cleanup. --- Requires use of non scratch utensils. Glass lids Allow easy viewing of cooking food without lifting the lid.